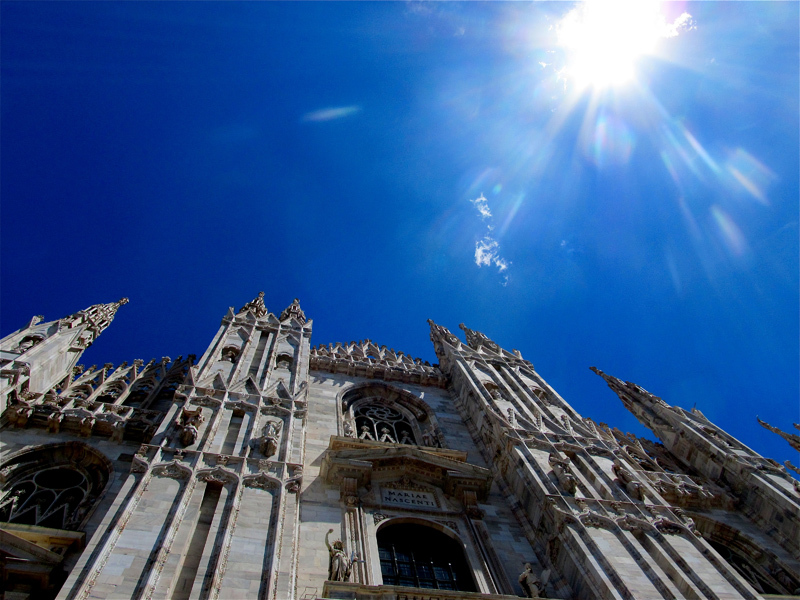 I arrived in Milan on September 4, 2011 and lived there until June 29, 2012. I did a gap year, meaning that I delayed college for a year, avoiding the nightmare of transferring credits back to high school. I studied at Liceo Musicale G. Verdi, the music high school of the Conservatory of Milan. I lived with my first host family from September until January, and I stayed with the second family for the rest of the year until my departure in June. Many people are shocked to learn that I had two host families; they ask me with confused faces if I had some kind of problem with the first family. Fortunately I did not. Staying with two to three families is simply the protocol of Rotary International (RI), my program. In this way, the exchange student gains insight into various nuances within the host culture. And believe me, my two host families were polar opposites in every way! When I was in middle school, my family hosted a Swedish boy through the Rotary program. The experience was only so-so, given that the boy was 18 and I was only 12; we had nothing in common. Years later, however, when I was a sophomore in high school, my family hosted another Rotary student, this time from Japan. He was my age, we had the same interests, and he got involved in school activities like choir and theatre. Everyone loved Taka, and after hosting him, I began to seriously consider doing an exchange year. I didn’t make the final decision to go until two of my friends returned from their respective Rotary years in Denmark and Italy. They were so full of life and took every opportunity to gush about their life-changing experiences. I couldn’t resist their stories! At that point I knew which program to choose. Rotary runs a well-recognized program, it’s free, and it exists in virtually every country of the world. It just made sense. 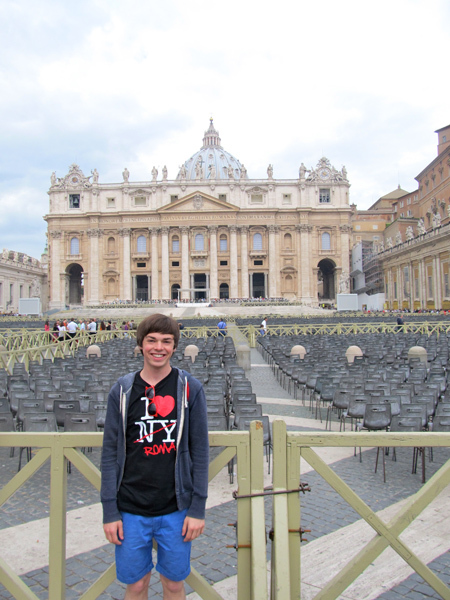 The thing that surprised me most about my exchange was just how normal my Italian life became. 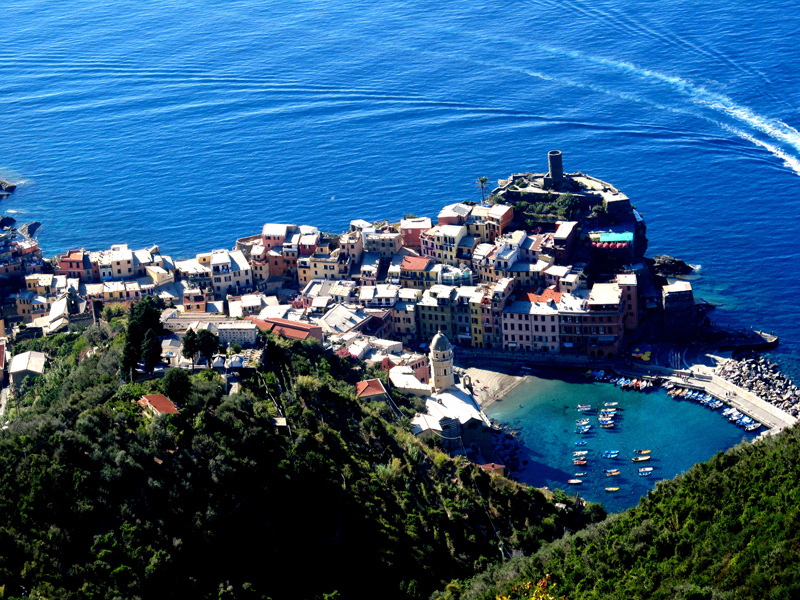 At first, I was constantly excited; everything was so new and Italian. 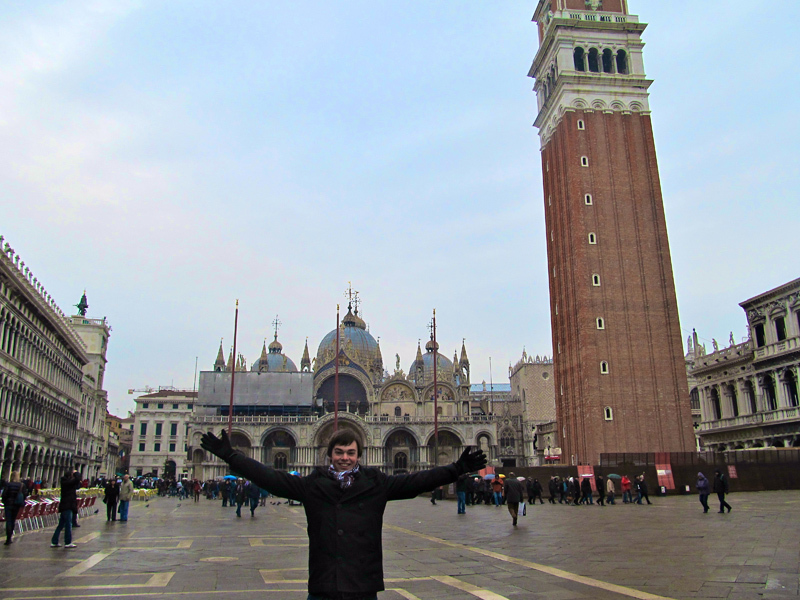 I relished exploring the city of Milan. 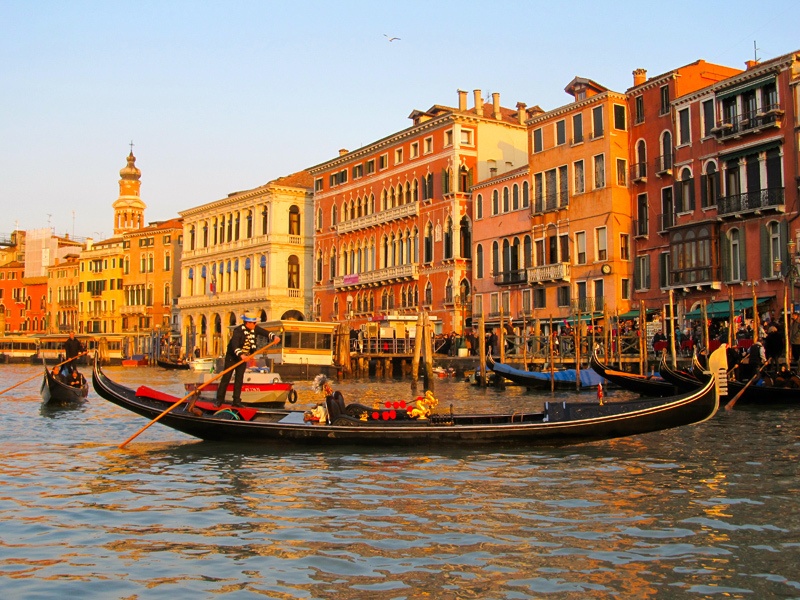 Every street was magnificent, every person European, every piece of clothing beautiful. I basked in the last days of summer in September and October. But by the time winter arrived, I was used to living in the big city. The cold weather made everything grey, and I became quite downtrodden. 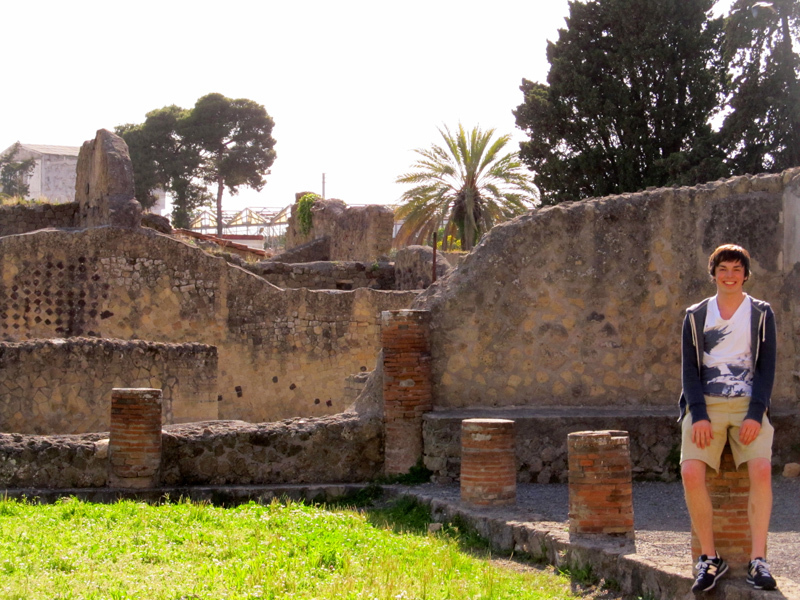 I survived of course, and by springtime I felt one hundred per cent comfortable in Italy. I knew every district of Milan; I had traveled extensively throughout the Italian peninsula; and had become fluent in the language. Going to the supermarket for shaving supplies was no longer a challenge. At some point in June, I had a moment of pristine clarity: I was no longer the naïve, awkward American boy I had been when I arrived in September. How and when did this happen? Somehow I had integrated myself into the culture. And after months of freezing weather and many hardships, I had emerged a new person. How did you find communication within your host households? I noticed that Italian parents did not communicate very much with us, the exchange students. They welcomed us into their homes as their own children, but after a few weeks, it became obvious that we were to conform to their standards of behavior in the home, but these standards had never been explained to us! There was much less communication in the family than we were used to in America and Canada, and at times this created awkward and tense situations. But if we, the visitors, took initiative to open more lines of communication, it seemed like these incidents were quickly forgotten and everyone was happier. Before leaving for Italy, I made two goals for myself: make friends and learn Italian. For the first few months I drove myself forward by remembering these goals. Around February I finally accepted that the majority of my classmates weren’t interested in getting to know me, and I’d have to be happy with the few kids who had taken the time to understand me. With these friends, I practiced my Italian, they practiced their English, we ate out, we went to the opera, and we even took a trip to England at the end of the school year. I had fulfilled the first goal, and even though my former idea of “making friends” suggested that I’d make many more, I feel fortunate to have known my few true Italian friends. As for the language, I studied hard. I completed a grammar workbook, I studied a dictionary and a book of verb conjugations, I listened to music, I read short novels, and I begged my classmates to speak to me in Italian as they would to each other. By June my Rotary district had proclaimed me one of two students (out of twenty) who had mastered the language with fluency. Now that I’m back, I can’t wait to travel again! When I do my next study abroad in college, it will probably be in another country such as Brazil or Spain. After all, Italy will always be my home. 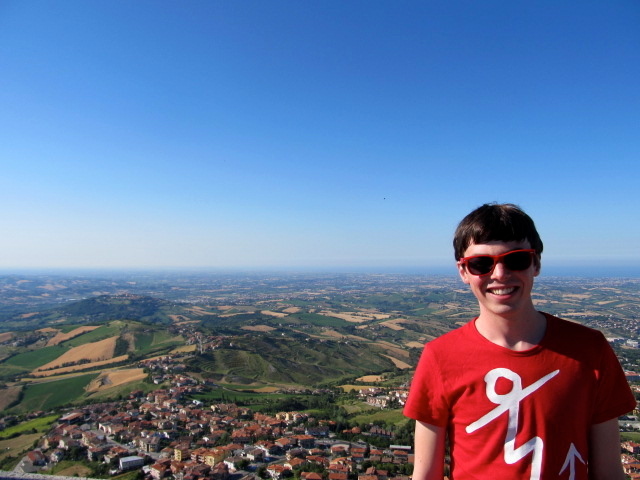 Davis gives a wonderful description of his experience on a gap year in Italy. And although he now feels that Italy is his second home, Davis is eager to visit other areas of the world as well, for which we applaud him! He has only recently started pursuing his undergraduate degree, meaning that he still has ample opportunity to internationalize his studies. We recommend that Davis begins working towards a major in an international topic – the choices are almost endless: international relations, international business, language studies, development studies, etc. And we’d also suggest that Davis apply to study abroad for a full year in a completely different region of the world. Asia is a popular study abroad choice for students seeking enriching, exciting cross-cultural experiences. Davis is clearly proactive and excited about cross-cultural learning, so he should also consider getting involved in extra-curricular activities on campus so that he can build international skills and culturally-rich relationships while at home. Majoring in International Studies offers advice on how to choose the right internationally-oriented program of study as an undergraduate. 24 Ways to Go International is a key article offering strategies for building international skills at home or abroad. You can return to this list many times over the course of your studies to be sure you are maximizing the cross-cultural value of your time at school. The Ideal International Profile will help you look ahead and consider what skills you’ll need in order to build an international career for yourself.